Sightlines at the entrance of New York’s subway stations are prime visual real estate, and such real estate comes with a price tag—one paid more easily by promoting commodities than art. 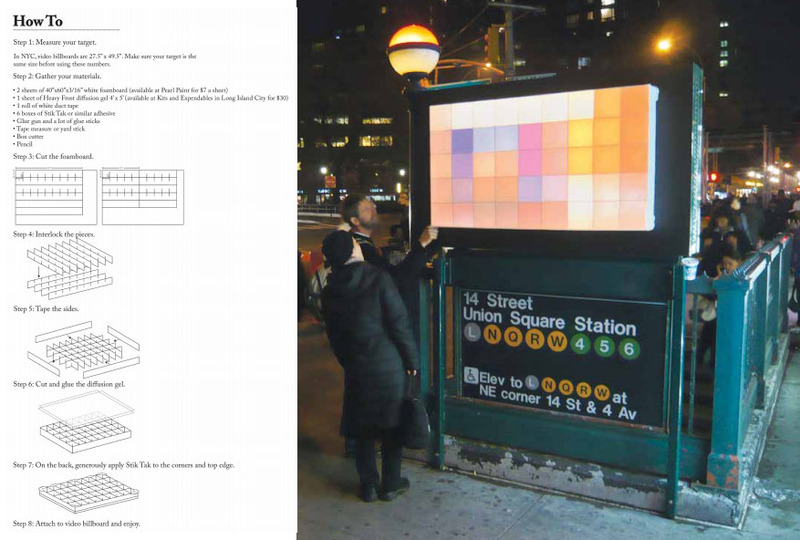 Artist Jason Eppink, however, devised a way to appropriate these LED billboards for a more artful purpose: Pixelator, a homemade foam core and paper screen that can be affixed to any of the monitors, transforming commercial pollution into abstract projections of light and color. The results are wholly spontaneous and dependent on the advertisements hidden behind the intervention. In keeping with this open-ended spirit, Eppink has posted on his webiste simple instructions for building your own Pixelator.